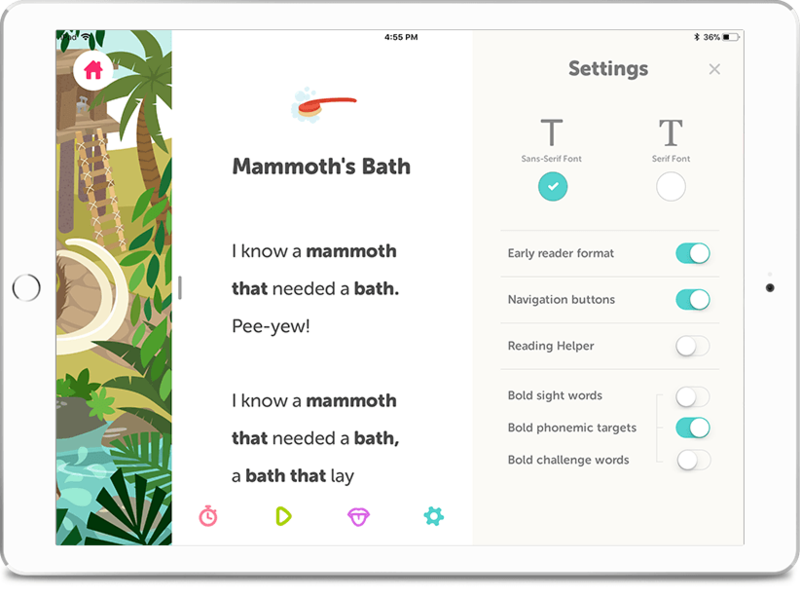 Little Stories Pro is an app for iPad with 82 carefully crafted stories that target speech, language and literacy. Each of these little story gems comes in a package—a package bursting with supporting curriculum and beautiful, full-color illustrations. 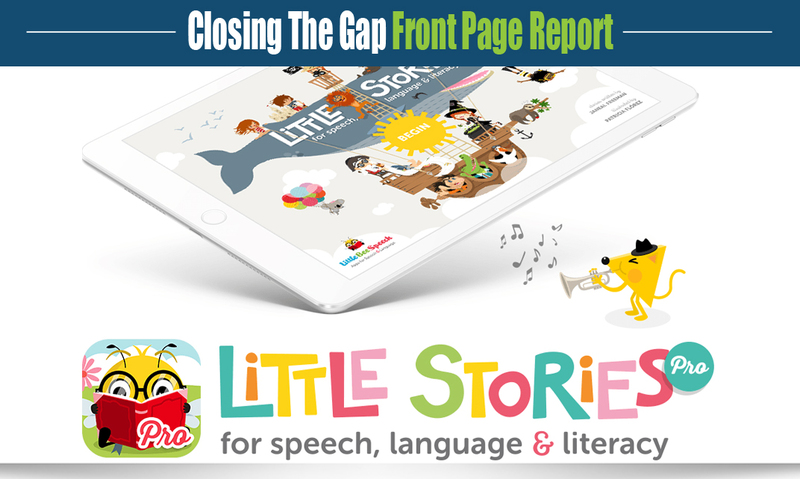 Little Stories Pro draws on a wealth of research and is designed to support reading fluency and comprehension as well as receptive and expressive language objectives. Each story is exactly 100 words. A child’s language and literacy development is a big deal—for all of us! So why do we start with something as small as a 100-word story? 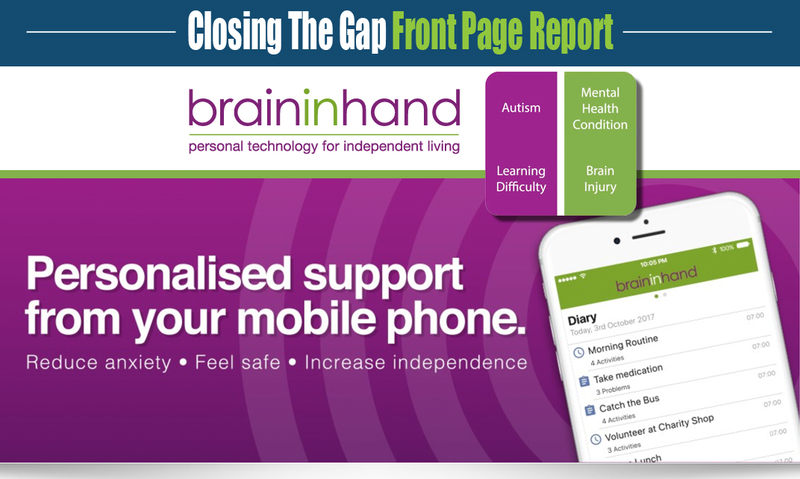 For one thing, it keeps a story simple and manageable. A child quickly reaches “the end” and feels a sense of accomplishment right away. But it’s more than that. When we kept a story small, we realized that structures stood out and speech practice focused. Little felt so very big! 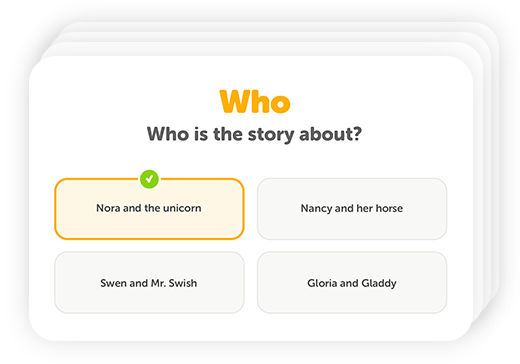 100-word stories are also great for practicing reading fluency, measuring reading accuracy, assessing speech fluency, and facilitating repeated reading exercises. 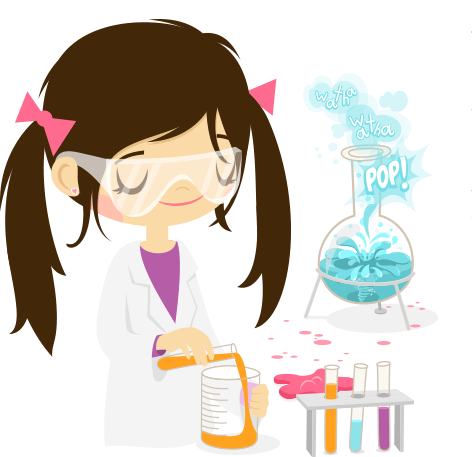 Each story has been carefully crafted and is loaded with potentials for learning. Their stories can be used and enjoyed in a variety of ways. All stories are leveled according to their narrative complexity, vocabulary difficulty, and age appropriateness. Within these categories (A, B & C), the stories are sorted according to their Flesch-Kincaid scores. 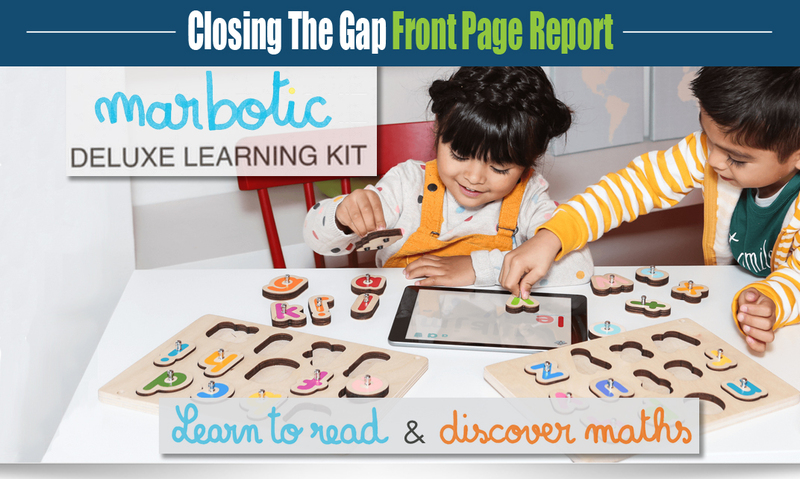 The stories are categorized into 26 themes that teach a variety of concepts. 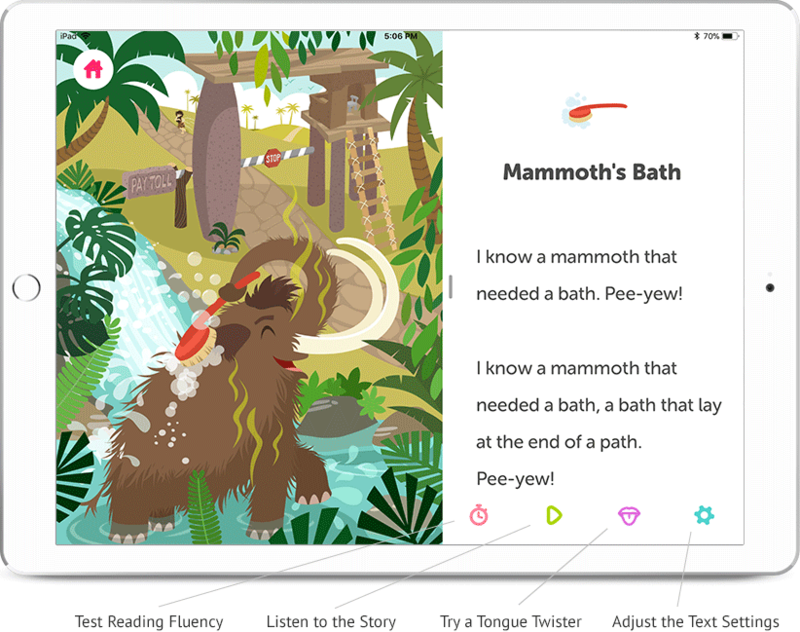 The app easily sorts all the stories by title, theme, phonemic target, and reading level. 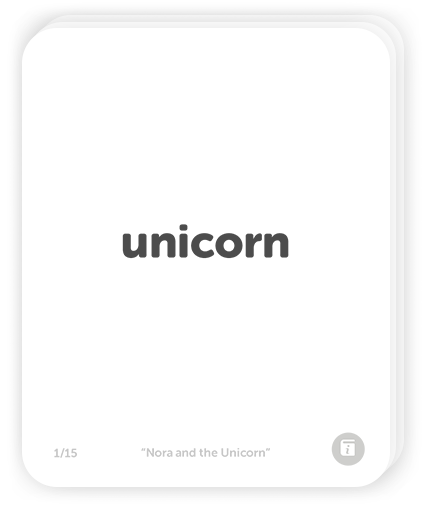 Practice the words in the story with flashcards! 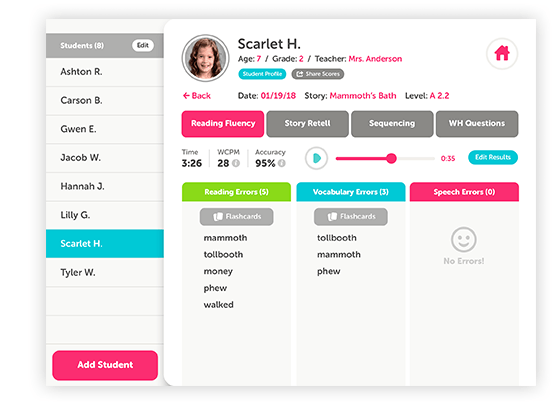 Select which words you would like to target (sight words, phonemic target words, or challenge words) and practice the words in the flashcards activity. 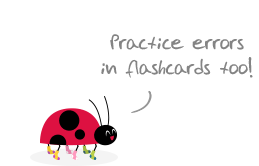 You can also generate custom flash cards through the error-tracking feature of the app. Reviewing the words in a story before you read can help increase reading comprehension, reading fluency and improve speech production. Use the story text settings to customize the story screen. These settings allow you to customize fonts and line widths, support eye tracking, and highlight particular word types within the text. 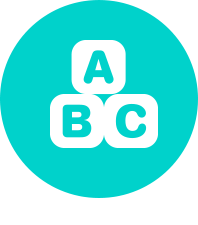 Record the child reading the 100-word story without interruption. Then, play back the recording and mark their errors. Marking errors for reading, vocabulary, or speech can be done easily for follow-up learning and review. Each story comes with a package to support learning. 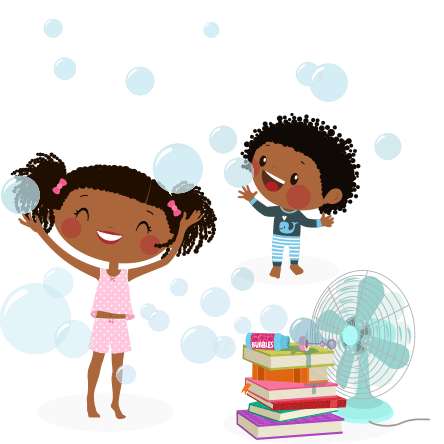 Little Stories is loaded with learning activities that focus on several speech, language, and literacy objectives. 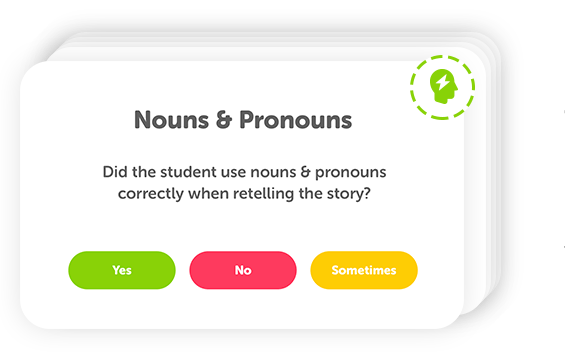 The curriculum portion of this app aids the learner’s comprehension of each story and teaches strategies that can be used across narratives. 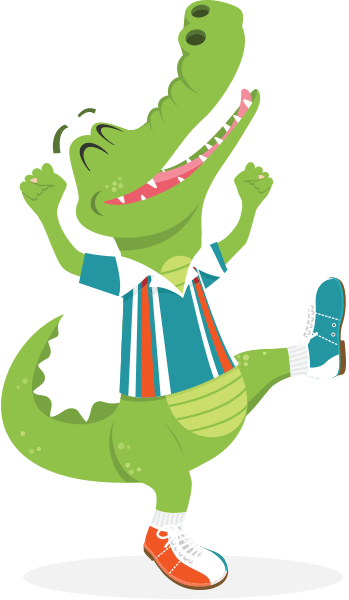 These learning activities (Story Retell, Sequencing, WH Questions, and Story Talk) help children develop skills such as critical thinking, text structure awareness, and oral communication. 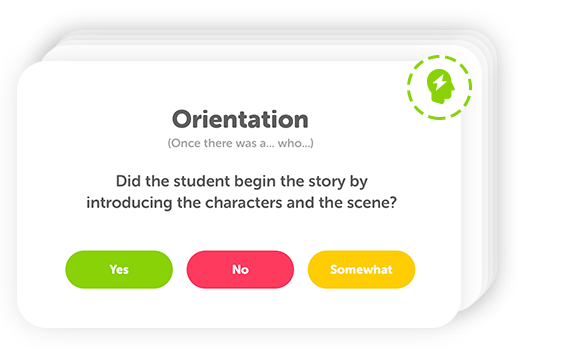 While their narrative curriculum is serious work, the app is designed to keep the work fun. Watch for our Little Bee—he’ll be there to cheer you along the way! The story retell provides a wealth of information about a child’s narrative abilities. Record the child retelling the story. Then, listen to the recording to score the child’s use of story structure and expressive language. The sequencing activity teaches story structure by prompting the child to organize four story segments. When a child is able to put narrative elements in order, a text becomes more than random details and occurrences—it becomes a story. The WH questions highlight key story elements. 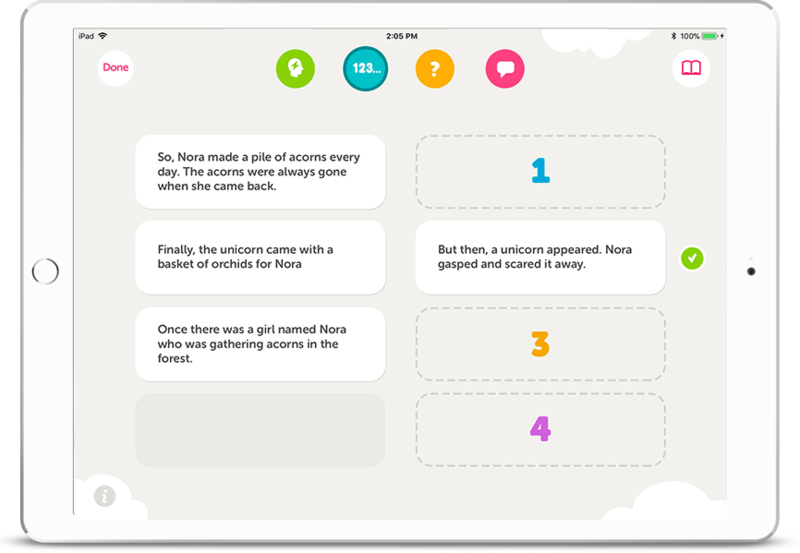 Little Stories features 4 WH questions for every story in the app. 1. Who is the story about? 3. What is the problem or complication? 4. How is the problem solved? 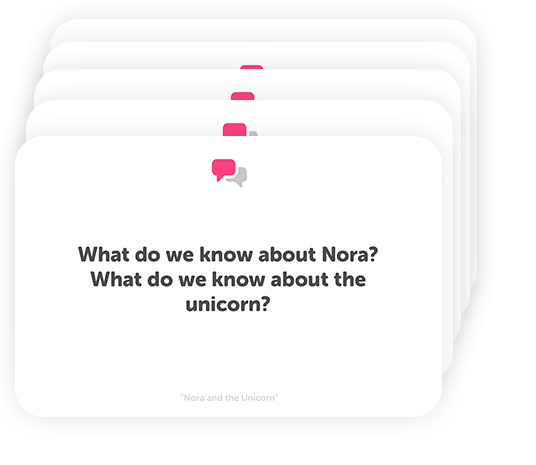 The story talk activity provides 5 question cards for each story. These questions test story understanding beyond the basic elements of story as highlighted in the WH section. Involve searching the text for answers. Let the reader express their opinion. 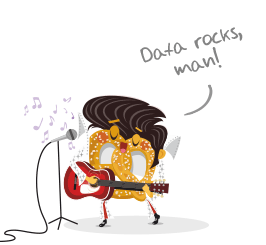 They put data at your fingertips! 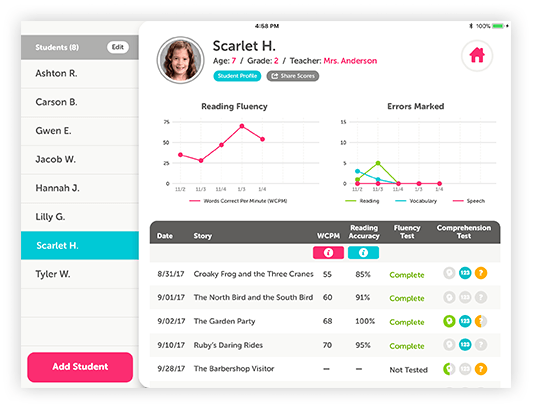 The data collection screens feature session dates, checklists, statistics, and graphs to help you track and measure reading, speech, and vocabulary progress over time. 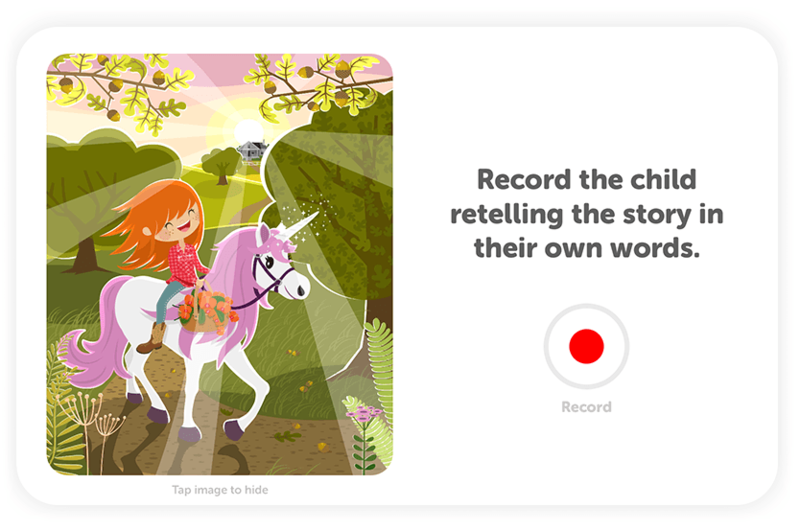 Little Stories is an app with a lot of power! You might say that stories are our mask, cape, and blaster boots. We know how to use stories and they know what they can do. They could have stopped at creating a whole collection of engaging stories, but they knew that narrative was loaded with powerful potentials for learning. So, they took their stories and made them teachers. As you learn to work with narrative—and they will guide you every step of the way—your teaching will strengthen and your confidence will soar. You will come to work with narrative and children in a whole new way. Perhaps more important than anything else, your learner will soar with you into the wonderful world of story. That’s the power of Little Stories. And yes, they just had to throw a little bit more into their very big Little Stories package. 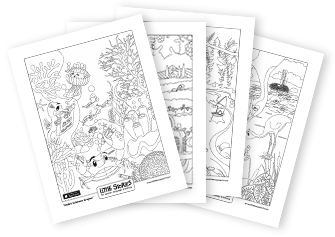 Your learner will love their coloring activity, and you will love all of the ways they align with the Common Core! 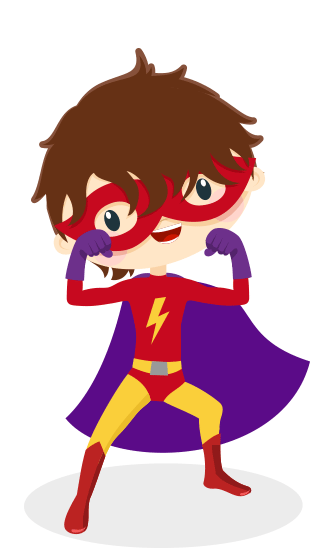 Every story illustration in the app can be colored. 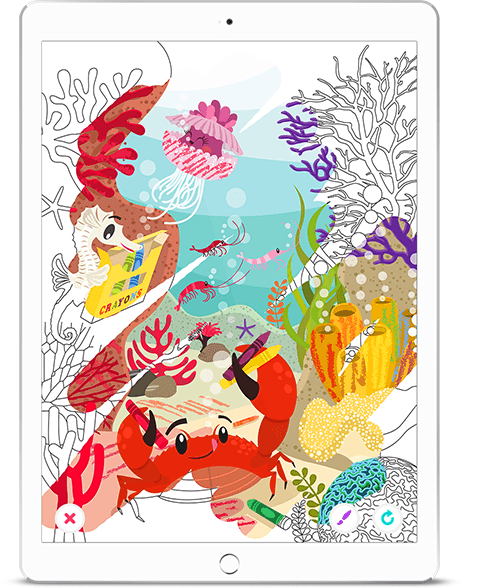 Select a coloring page and enjoy the magic of having your finger spread beautiful colors and details across the screen. 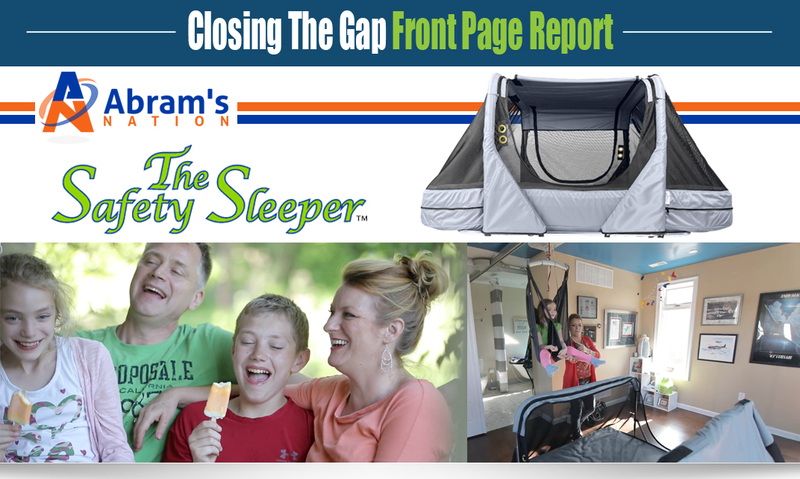 Their Little Stories target many of the Common Core standards for grades K-3. For a list of which standards are targeted. The Common Core State Standards Initiative is an educational initiative in the United States that details what K–12 students should know in English language arts and mathematics at the end of each grade. RL.K.4 Ask and answer questions about unknown words in a text. SL.K.2 Confirm understanding of a text read aloud or information presented orally or through other media by asking and answering questions about key details and requesting clarification if something is not understood. RF.1.4 Read with sufficient accuracy and fluency to support comprehension. RF.1.4.A Read grade-level text with purpose and understanding. RF.1.4.B Read grade-level text orally with accuracy, appropriate rate, and expression on successive readings. RF.1.4.C Use context to confirm or self-correct word recognition and understanding, rereading as necessary. SL.1.2 Ask and answer questions about key details in a text read aloud or information presented orally or through other media. 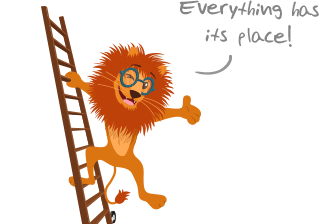 SL.1.6 Produce complete sentences when appropriate to task and situation. L.1.1.B Use common, proper, and possessive nouns. L.1.1.D Use personal, possessive, and indefinite pronouns (e.g., I, me, my; they, them, their, anyone, everything). L.1.1.E Use verbs to convey a sense of past, present, and future (e.g., Yesterday I walked home; Today I walk home; Tomorrow I will walk home). L.1.1.F Use frequently occurring adjectives. L.1.1.I Use frequently occurring prepositions (e.g., during, beyond, toward). L.1.4.A Use sentence-level context as a clue to the meaning of a word or phrase. RL.2.1 Ask and answer such questions as who, what, where, when, why, and how to demonstrate understanding of key details in a text. RL.2.4 Describe how words and phrases (e.g., regular beats, alliteration, rhymes, repeated lines) supply rhythm and meaning in a story, poem, or song. RL.2.5 Describe the overall structure of a story, including describing how the beginning introduces the story and the ending concludes the action. RL.2.7 Use information gained from the illustrations and words in a print or digital text to demonstrate understanding of its characters, setting, or plot. RL.2.9 Compare and contrast two or more versions of the same story (e.g., Cinderella stories) by different authors or from different cultures. 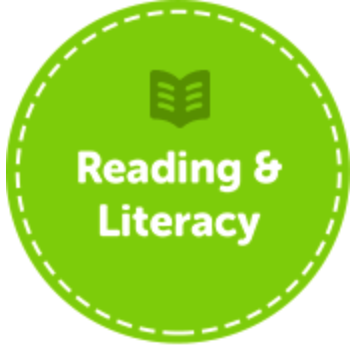 RL.2.10 By the end of the year, read and comprehend literature, including stories and poetry, in the grades 2-3 text complexity band proficiently, with scaffolding as needed at the high end of the range. 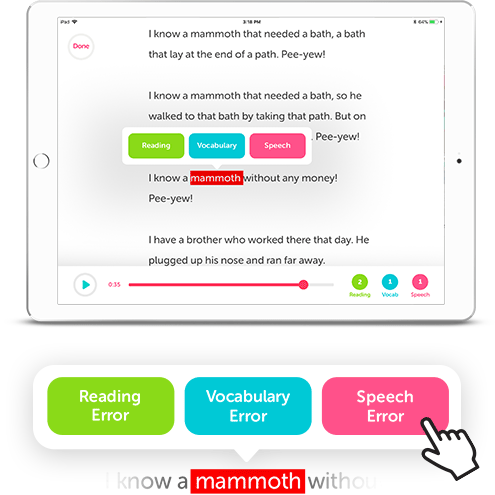 RF.2.4 Read with sufficient accuracy and fluency to support comprehension. RF.2.4.A Read grade-level text with purpose and understanding. RF.2.4.B Read grade-level text orally with accuracy, appropriate rate, and expression on successive readings. RF.2.4.C Use context to confirm or self-correct word recognition and understanding, rereading as necessary. SL.2.1.C Ask for clarification and further explanation as needed about the topics and texts under discussion. SL.2.2 Recount or describe key ideas or details from a text read aloud or information presented orally or through other media. 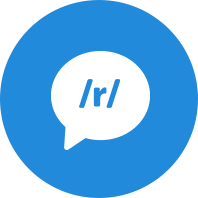 RL.3.2 Recount stories, including fables, folktales, and myths from diverse cultures; determine the central message, lesson, or moral and explain how it is conveyed through key details in the text. RL.3.10 By the end of the year, read and comprehend literature, including stories, dramas, and poetry, at the high end of the grades 2-3 text complexity band independently and proficiently. RF.3.4 Read with sufficient accuracy and fluency to support comprehension. 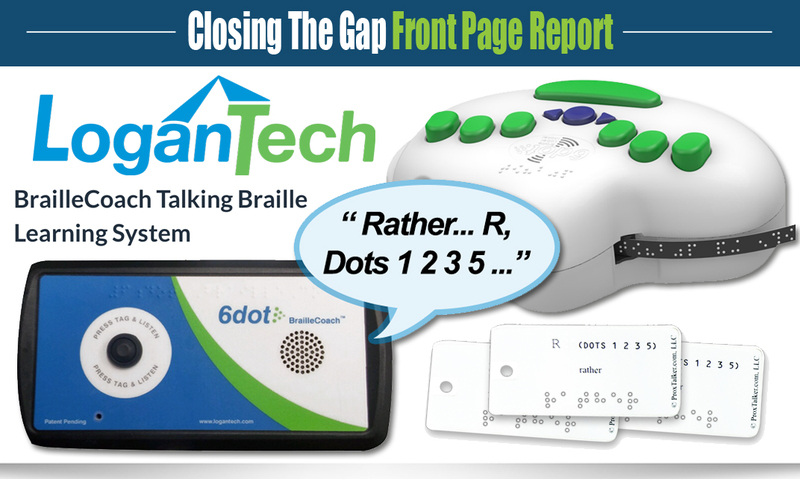 RF.3.4.A Read grade-level text with purpose and understanding. RF.3.4.B Read grade-level prose and poetry orally with accuracy, appropriate rate, and expression on successive readings. RF.3.4.C Use context to confirm or self-correct word recognition and understanding, rereading as necessary. 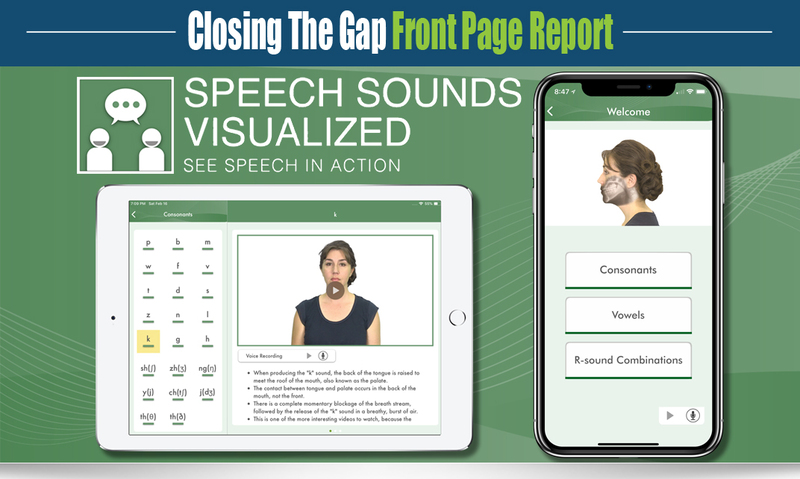 SL.3.5 Create engaging audio recordings of stories or poems that demonstrate fluid reading at an understandable pace; add visual displays when appropriate to emphasize or enhance certain facts or details. L.3.1 Demonstrate command of the conventions of standard English grammar and usage when writing or speaking. L.3.1.D Form and use regular and irregular verbs. L.3.1.I Produce simple, compound, and complex sentences. L.3.2.D Form and use possessives. 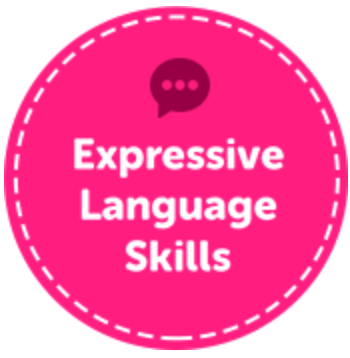 L.3.3 Use knowledge of language and its conventions when writing, speaking, reading, or listening. 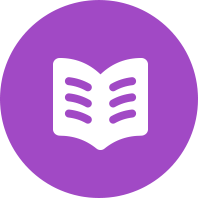 L.3.4.D Use glossaries or beginning dictionaries, both print and digital, to determine or clarify the precise meaning of key words and phrases.